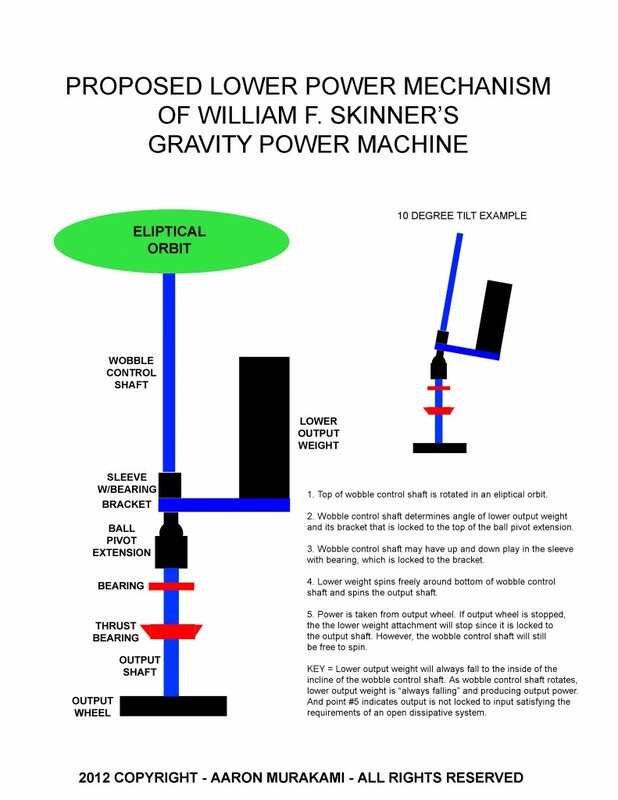 I saw the conversation at Stefan's forum so I thought I'd share about about my work on the William F. Skinner gravity power machine. I've had it figured out for a couple years but never saw anyone talk about it. Was going to give a demonstration at this year's conference, but was encouraged by a lot of people to talk about the Plasma Ignition instead. Anyway, this is a short video clip to simply get more interest in the machine. If I see people making progress by building things and not just talking about ideas, I'll share more bit by bit. Youtube description: This is a short vid to get interest in the machine. Saw the discussion at Stefan's forum so thought I'd share. 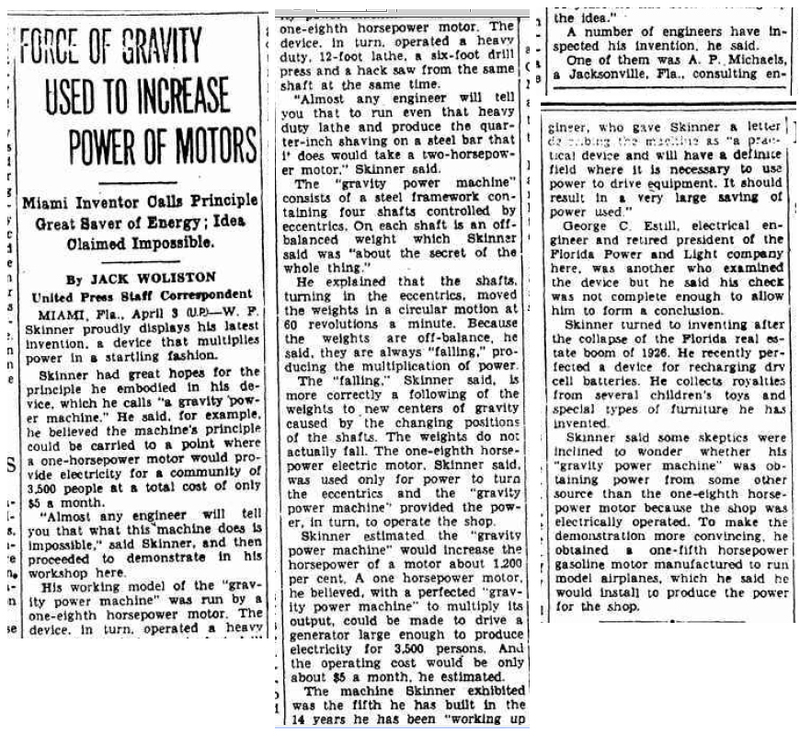 William F. Skinner - 1939 Gravity Power Skinner's machine gives more than 1200% more work than is input - the rest comes from gravity. That is a COP of 12.0, which is beyond useful. It is one of the few real free energy machines that has been in front of everyone for a long time! Last edited by Aaron; 06-03-2014 at 10:56 PM. in vBulletin than in SMF ? Last edited by gri; 05-30-2014 at 09:53 AM. Hi Gri, I'm not sure what you mean by global quote and what is SMF? "The reason why power is conserved in an ordinary transmission is because of where we choose to place the prime mover. If the prime mover is placed on the axis of symmetry, I don't care what arrangement you have, any power gained as part of the system will be destroyed when the output is brought back to the center." Yes, that is the concept that many people have a hard time wrapping their heads around. As it is rocking, if you hold the large hammer down on the "anvil" end and prevent it from moving - the input pendulum at the right side will continue to rock back and forth until it stops. It is not in lockstep with the output. They must be indirectly connected so the output is not proportional to the input. Otherwise, gravitational potential energy cannot enter the system and add to the work being done. But in the Veljko arrangement, it can as well as in the Skinner machine. Later, I'll show a clip showing how I separate them - it's pretty easy. The same principle applies to the Bedini SG, Jim Murray's SERPS device and every single legitimate Over 1.0 COP device - not just mechanical over 1.0 COP machines. Otherwise, it is a closed loop system that will wind down to equilibrium (dead stop) and can't put external gravitational potential to use. 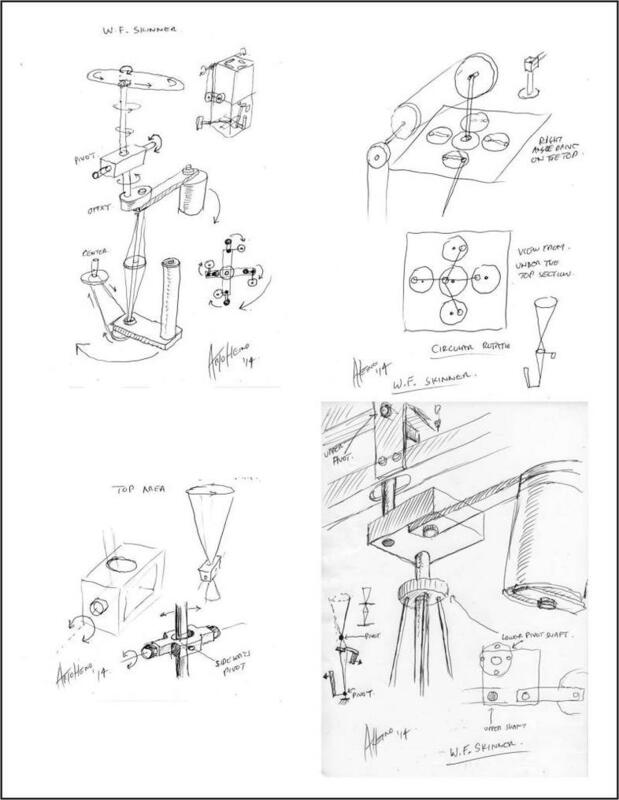 For example, some people look at Veljko's device and compare it to a grasshopper oil well pump because they refuse to acknowledge non-equilibrium principles. If you stop the output pumping section and lock it up, it is directly connected to the input and will lock up the whole machine. The input will not be able to move at all. And likewise, if you lock up the input section, the output section will not continue to move until it dies down, it will simply instantly stop since it is in lockstep. This machine is a closed loop machine where there it cannot make use of free gravitational potential input. Huge difference from the open looped Vejlko machine and the Skinner machine. independently with respect to the smaller cylinder. I think see the angle between the small cylinder and the long cylinder not fixed.? The lower heavier weight rotates around a fixed axis at the bottom. 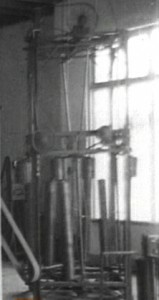 At the top of that shaft connected to the lower weight, it moves in an oval shape. 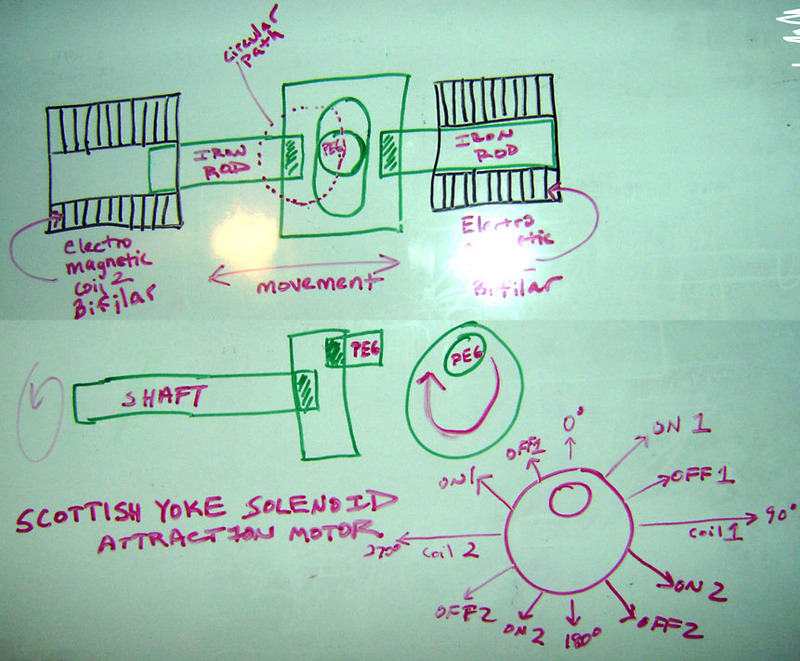 that causes the top of the shaft to move in an elliptical orbit. while the momentum of the upper weight moves in a general circular orbit. that pulls the top of the upper shaft around to FOLLOW the path of the upper weight. The lower weight follows the upper weight. and not in lock step with the input section. With those two thing, you can replicate the entire machine. Gri, I still don't know what you're really asking. If you need a link that goes directly to a post, use the link to the #x at the top right (not the permalink) and it will take you directly to a post. You see where you have the square translation plate? Above that is where the level comes through the frame to the plate - I think there are springs on both sides of that lever. Anyway, I'll post some pics on my build and if I get time, I'll post some vids showing the mechanism...the interaction with that translation plate and the upper weight is what causes the lower heavy weight to constantly be "falling" and that is very key. 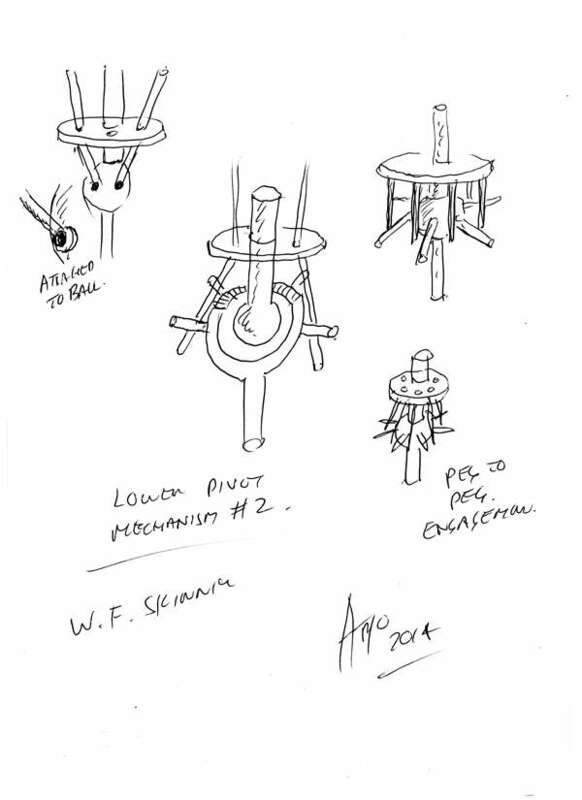 Look at the sequence of the steps with the weight rotating clockwise in relation to the pivot point from the lever that simply moves back and forth. Steps 1~7 are the entire sequence and the 8th step is a repeat of the first to show the complete cycle. The below pictures shows you what each part of the swivel bracket is. 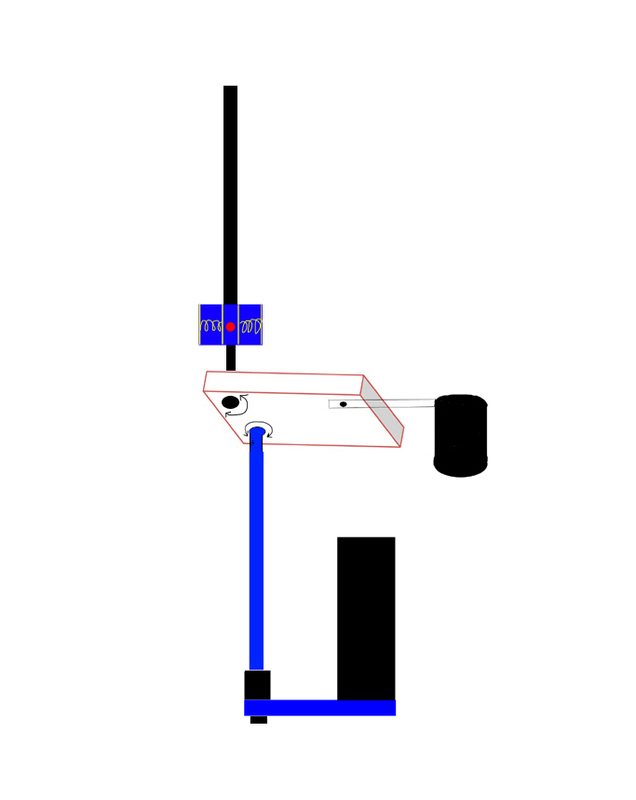 Step 1 – The lever point is to the far left and the weight is to the far right with momentum swinging it in the clockwise direction. 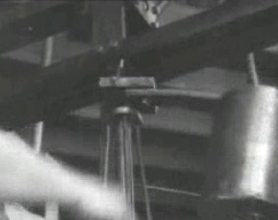 Step 2 – The lever point is still in the left position and the weight is still swinging around. 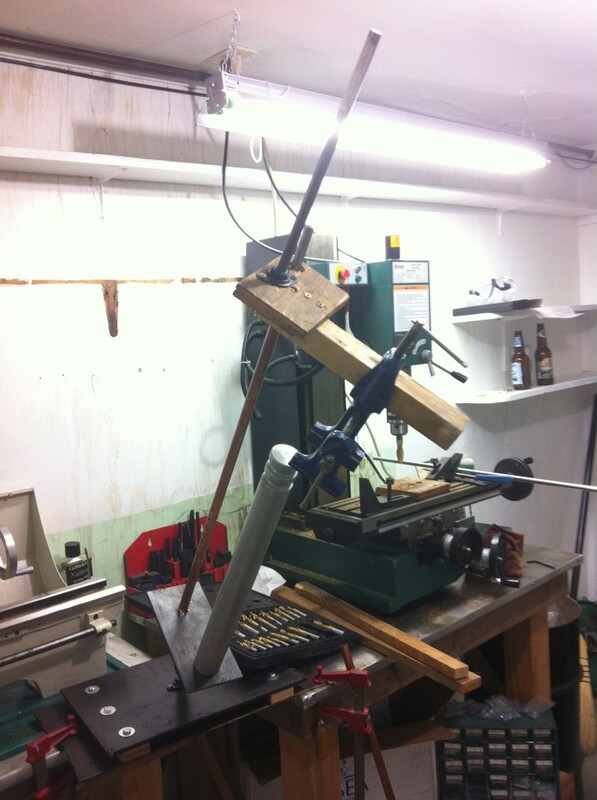 Step 3 – The lever point is in the same position but the weight is still swinging around. Step 4 – At this point, the lever point is able to move towards the right direction. When pushing on the bracket from that corner in the right direction, it is in unison with the weight already moving in the clockwise direction. They reinforce each other. Step 5 – The lever point is at the far right and the weight is at the far left. Step 6 – The lever point is at the far right and the weight is still swinging around. Step 7 – As soon as the bracket is situated so that the lever point can move in the opposite direction and move in unison with the weight, it moves towards the left. Step 8 – Back to position 1. Again, the momentum of this upper cylindrical weight carries it in a clockwise direction and this mutually reinforces the back and forth movement of the lever’s action. They are in a positive feedback cycle with each other. This translates back and forth motion to rotational movement and the rotational movement assists the lever’s back and forth movement. 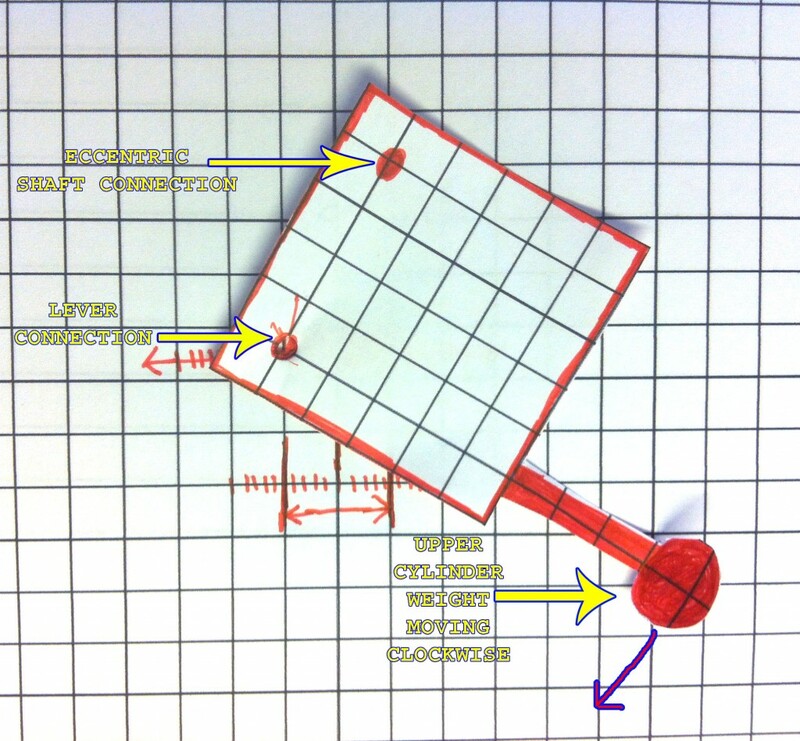 As you can see, the weight is not moving around a fixed point of axis, it is moves to the left and right. It is rotating around an axis that is to the left half the time and then to the right half the time. That is the two input pulses from the lever per full rotation. From the same sequence of steps, we can see that the point at which the lower eccentric shaft connects, it too has a none fixed orbit. Not only does the upper part of the lower shaft wobble around in a circle, it is an orbit that also has a moving axis point. 6. The next part of the trick of the system besides the Swivel Bracket mechanism is the lower weight fixed to the bottom axis of the lower shaft. The long cylindrical weight is on a bracket that is fixed to the bottom of the lower eccentric shaft. That appears to be the only place that the lower weight is connected. It is also slightly angled outwards. With this weight, it will always try to position itself to be on the inside of the inclined shaft. As the upper cylinder weight fixed to the Swivel Bracket rotates, the eccentric shaft is connected to the opposite corner of the bracket. The upper weight leads the bracket around and this causes the eccentric orbit of the lower shaft to constantly follow it. Therefore, since the eccentric shaft’s position is constantly changing, the lower eccentric shaft weight is constantly moving to a new center of gravity. As long as the upper weight continues to circle, the lower weight will continue to follow. The eccentric shaft has a fixed axis at the bottom and is connected by some means of gears, belts, etc… to a central wheel what turns the long shaft at the bottom left of the above picture. That is the output shaft and it’s power is taken from the large belt that goes to running the lathe. To summarize, we are leveraging leverage. We use a very small amount of energy to rock the lever back and forth. With enough length, it takes very little energy to move its connection to the bracket back and forth. The lever’s movement in conjunction with the upper cylinder weight self-reinforces each other’s movements. The back and forth movement is reinforced by the eccentric movement of the weight. And the weight’s eccentric movement is reinforced by the very small input from the back and forth movement of the lever. 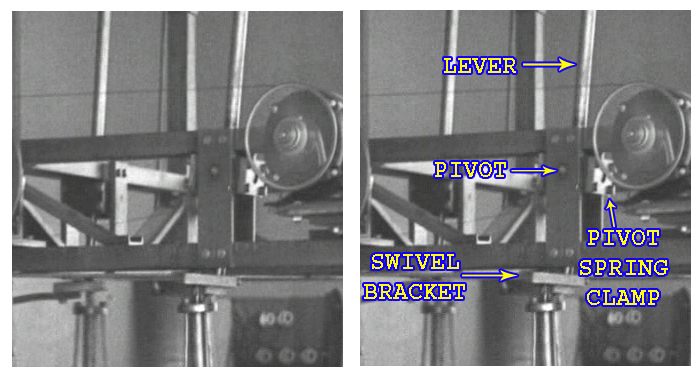 As the Swivel Bracket rotates from the above stated action, the lower eccentric shaft’s connection is put on an eccentric orbit, which constantly follows the upper weight’s orbit. 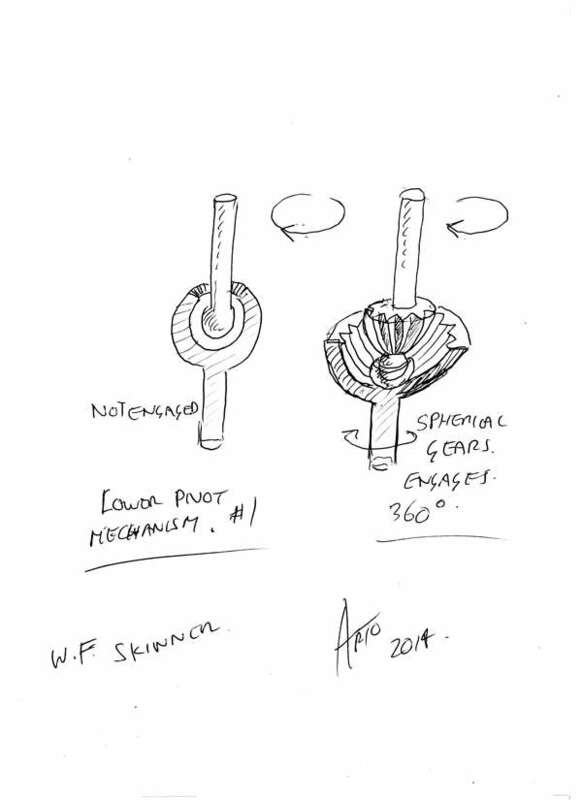 This causes the lower eccentric shaft’s weight to follow the upper weight producing torque at the bottom of it’s shaft that can be tapped by an output shaft. 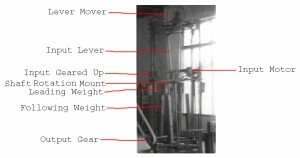 Lever movement > moves bracket > upper weight reinforces lever’s movement > causes eccentric shaft orbit causing a moving center of gravity > lower weight constantly moves to the moving center of gravity causing mechanical shaft power at the bottom. No laws of physics are violated. It is an open non-equilibrium thermodynamic system that is open to free gravitational potential. This gravitational potential is able to constantly act as a source of work energy on the lower weight because of the constant shifting of the center of gravity that the lower weight is seeking. From a little input on the lever, we are able to massively amplify the amount of work we can take from the output by the described mechanism. This appears to be the highest COP (coefficient of performance) mechanical amplifier that has ever been revealed to the public. A small amount of input is leveraged through the lever to to encourage the movement of the Translation Coupler in a clockwise direction. 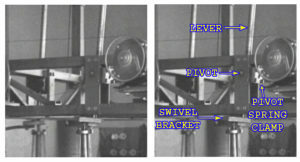 The upper weight spins clockwise from this movement assisting the lever’s back and forth movement. 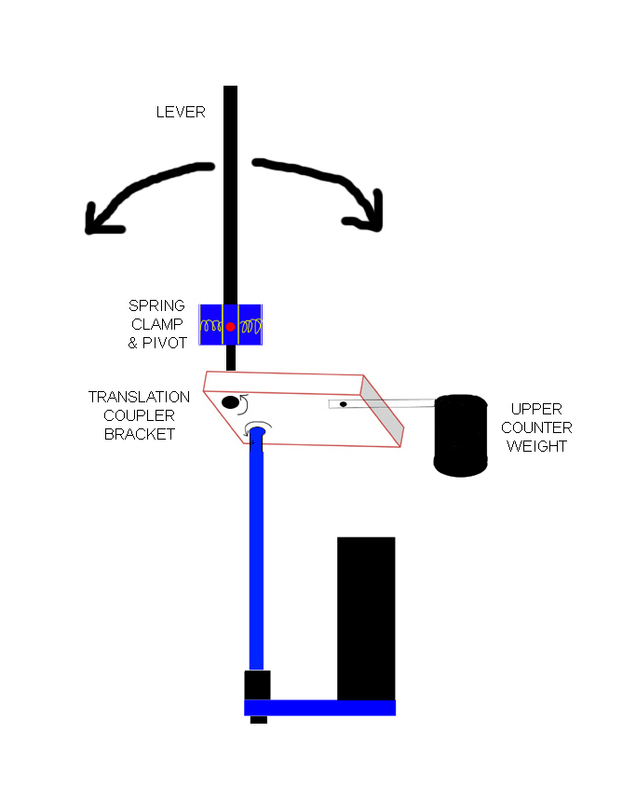 The upper weight counterbalances the weight supported by the tilted Wobble Control Shaft at the connection point with the Translation Coupler. The heavy Lower Output Weight has a high center of gravity from it’s tall weight distribution and the tilt angle is very small. The combination of these two variables makes it very easy to manipulate the entire weight of the Lower Output Weight with very little input by the lever. However, the Lower Output Weight’s mass is very high and as it “falls” by simply rolling to the inside of the Wobble Control Shaft, it’s entire weight is able to produce a strong force at the Output Wheel. 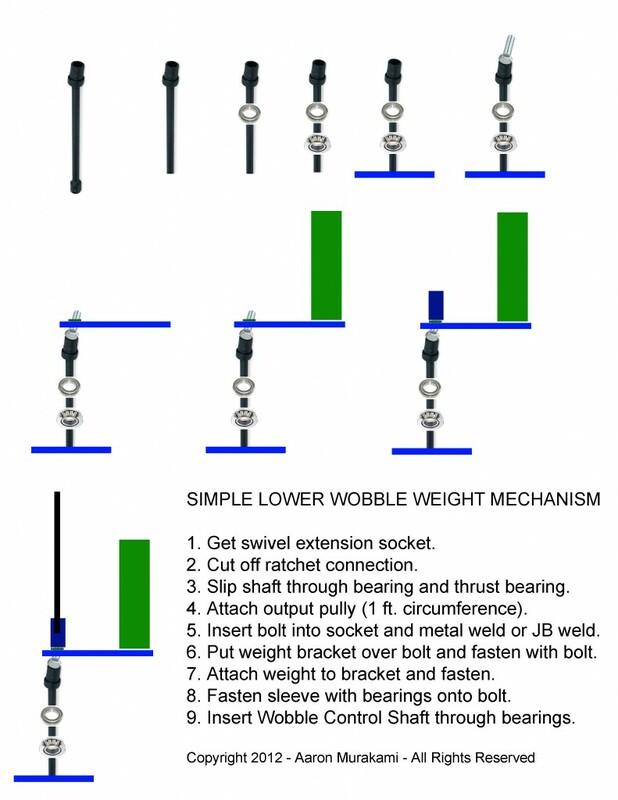 It is very important that the Lower Output Weight is not physically locked to the Wobble Control Shaft. Otherwise, the output would always be directly proportionate to the input work. However, in the case of them being related, yet not in “lock-step”, the output could be stopped without having a direct stopping action on the input. 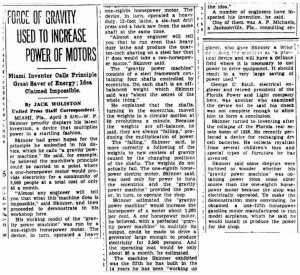 And therefore, if the input lever was stopped, the Lower Output Weight would continue to spin around the stopped Wobble Control Shaft while continuing to produce power at the Output Wheel until it rand out of momentum. It is also important to note that the Translation Coupler is causing motion in the Wobble Control Shaft in an elliptical orbit. That means there are two points in the rotation where the speed and power of the weights are increased before they switch direction in the opposite direction of the long length of the orbit. 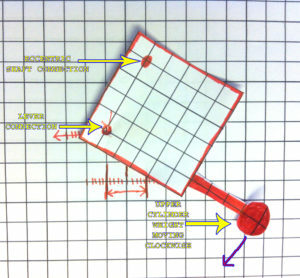 The counter reaction from this movement does not oppose the input lever but rather reinforces it so that the reaction assists the machine’s movement in the forward direction. This is a true open dissipative system, which does not conform to conventional Laws of Thermodynamics or Laws of Motion, as they are conventionally interpreted. 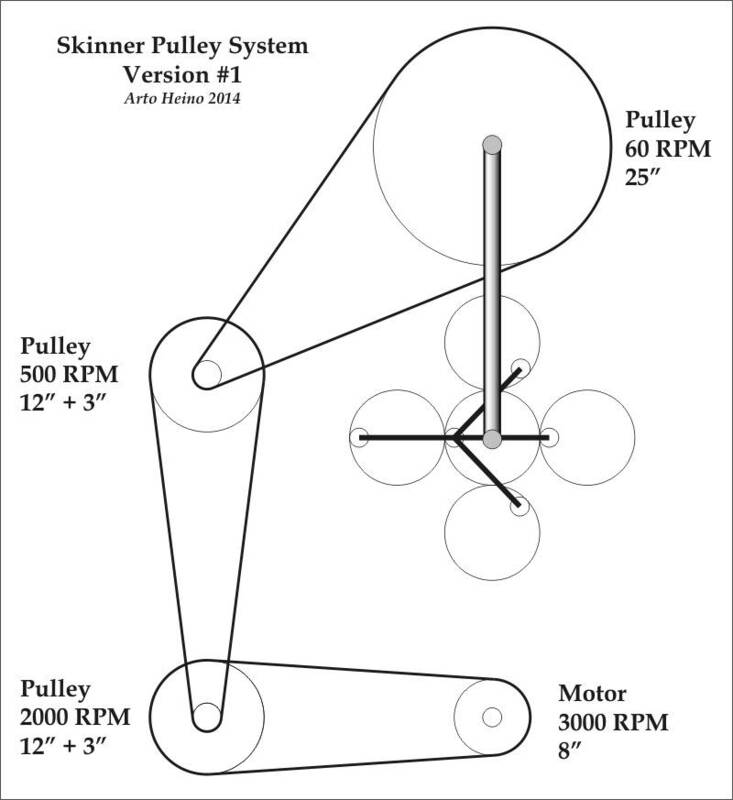 Here are the guesstimates for the pulleys. Regards Arto. I'm putting together a new video that will show more of the mechanism to how the machine works. I see a comment by someone in ou about it not being open looped - they don't know what that even means. Too many people are talking about "closing the loop" for all kinds of machines being ignorant of the fact that literally closing the loop means you cut out the free environmental input and you wind up with nothing but a conventional equilibrium system that conforms to typical closed-system thermodynamics. Even with systems that have enough to "self run", the loop is still always open to source potential. The grasshopper oil well pump example I gave tells the whole story on why this machine cannot be like that and has to be open loop meaning gravity can come in to do something. For example... if the lower weight is directly connected to the upper weight mechanism, it is literally short circuited and you just killed the dipole. If they're locked together (closed loop), it doesn't matter how much gravitational potential is there, it will not contribute anything because the movement of the lower weight is controlled by the upper mechanism and not by "constantly falling". Being open looped where the output is not locked to the input, it is gravity that is causing the lower weight to constantly fall to the inside of the incline of the shaft and NOT by the upper weight moving it there. Making something self-run is NOT closing the loop no matter how many stooges and trolls want to claim that. For this machine, you would take the output and turn a generator that powers a battery bank, then that battery bank can power an inverter that powers the front motor. That would self run but that is not closing the loop. You have to take the output and establish a whole other type of dipole that is disconnected, which in turn creates another diople that is disconnected and that in turn can go back to the input. The term "closing the loop" is NOT what is happening in this example of how to make it self run. Each step between one bit of work that creates another potential difference and so on are all COMPLETELY OPEN so instead of having a circle, you have a bunch of dotted lines that go in a circle, but it is far from being closed. I don't care about "closing the loop" as much as making something that can provide useful work. Heck, I've got a 10 watt power source, can I have 120 watts in return, please? anyone got instructions on how to build one and run your house? Arto - ok, here's the rest of the mechanism. Also, that vid explains how and why the large lower weight is "always falling" - it literally is always falling. Anyway, this is about all there is to know to create a replication. My own "translation coupler" is using a pulley that is off centered and that is all I want to mention of that at this time. But for the most part, there is no mystery to the lever input rod...it needs to be mounted to the frame so that the translation coupler is held into place...it is best to have the lever rod at the top going in a small circle, but even with straight back and forth motion, it still works because of the mechanism I show on the paper example at the end of the video. Where I want to go with it as time permits is to have a Scotch Yoke type assembly like in a Bourke Engine but the input is the shaft off centered and the output is the back and forth action moving levers. I've already done the electrical measurements with a watt meter on the variac used to run an electrical motor and have already seen what the mechanical work output is. I just wanted to get all of this out to keep people on track before a bunch of disinformation intentional or not gets the replication attempts going in the wrong direction. That is what happened in the Stan Meyer field and others and we can't let that happen with this machine. Hopefully, some people will start to replicate it and share their results. I'll share more when I see others sharing some - I've already pretty much given the whole thing away with an easy way to replicate with rods, sockets, etc... obviously that is just my own low budget method of doing it but there should be no mistake now about how to do it. One thing I didn't address yet is that the reaction in the machine helps to make work in the forward direction. There are no bucking forces to resist its movements. Essentially, it is free of back emf in electrical terms. Like in the Ramos machine, the reaction of the pendulum at the top doesn't buck against any movement and actually helps to propel it into the forward direction. Just like the Veljko machine, the reaction of the hammer going in the opposite direction doesn't buck the input, it actually gets the input pendulum to swing which helps to produce work in the forward direction. These are all universal principles. Aaron, I'd like to replicate this, and it seems within my capabilities to do so. One thing, I know people love videos these days, and seeing videos of things working is awesome, but 30 min+ videos on youtube are not possible for some of us with crappy internet connections or data limits. Is it possible for someone to give a short synopsis of the video, maybe with a few screen shots to see things in a better format? I'd be willing to do this myself, but I have to watch the video in parts, so it might takes me a few weeks. Anyway, cool project, looks like it has some promise, I'd like to get it going in an off-grid setup! I'd recommend getting a program vdownloaded and/or the plugin for firefox for example. Go to the video and you can download just the audio in mp3 for example. That is the only quick solution I have for you but you at least need enough bandwidth for that.